India is reputed to be home to some of the finest Wildlife Sanctuaries and Tiger Reserves, which offer a stunning array of wildlife. Scattered throughout the vast expanse of the country, these sanctuaries are among the hottest wildlife destinations for tourists visiting India. The eastern region of India covers states like Assam, Arunachal Pradesh, Orissa, Jharkhand, Tripura, West Bengal, Sikkim, and Bihar. The Wildlife Destinations in Eastern India are renowned for their distinctively diverse flora and fauna. Eastern India is the least explored region in India. Although this region may not have the grandeur of the northern and southern parts of the country, it is unparalleled in its abundance of natural wealth and tribal culture. The wooded hills, tea estates and Wildlife Destinations in Eastern India draw numerous tourists to explore the diversity of this unspoiled haven. The rich and diverse wildlife at the wildlife destinations in eastern India will leave you spell bound and gasping for more. 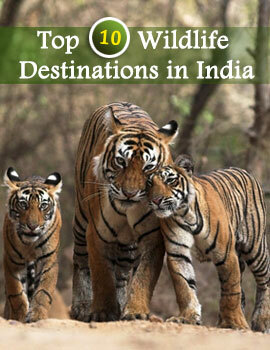 You will encounter some of the most endangered wildlife species while on tour to these sanctuaries and reserves. These destinations serve as natural habitats for innumerable endemic and rare species of flora and fauna. The Wildlife Destinations in Eastern India support a distinctive wildlife that is quite different from that found in the rest of India. Some of the higly endangered species that can be seen only in these destinations include the One-horned Rhinoceros and Wild Buffalos in Kaziranga National Park, Assam and the Hispid Hare and Pigmy Hog in Manas Wildlife Sanctuary, also in Assam. Located on the banks of the Brahmaputra River in Assam, the Kaziranga Wildlife Sanctuary is the finest among the Wildlife Destinations in Eastern India. The Manas Wildlife Sanctuary is famous as one of the most picturesque wildlife reserves in the world. 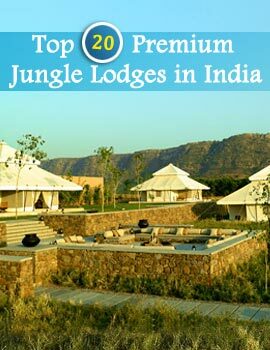 Some other sanctuaries that must be visited on tours to Wildlife Destinations in Eastern India include the Namdapha Wildlife Sanctuary, Simlipal Wildlife Sanctuary, Sunderbans Wildlife Sanctuary, Itanagar Wildlife Sanctuary, Keibul Lamjao Wildlife Sanctuary, Sirohi Wildlife Sanctuary and Kangchendzonga Wildlife Sanctuary.